We were skiing south facing slopes on preston peaks. We went over to look at some of the East facing chutes in snake creek cirque and we decided against it. As we were backing up the whole slope went out. Nobody was injured or carried but it was prime territory for danger. We should not have even been thinking east facing slopes and from what we experienced today that danger will not change tomorrow either. There was widespread cracking all along the cirque. I hope the picture conveys the amount of cracking far away from the crown of the slide. 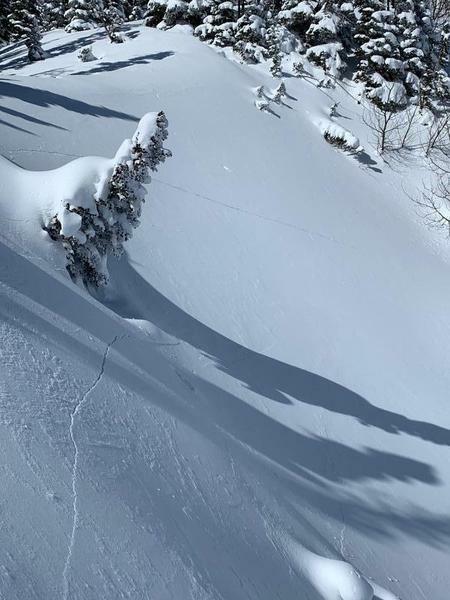 We skied some low angle east facing slopes and got away with it and it was very stupid. We dug several pits on south facing slopes today and got no reactivity. 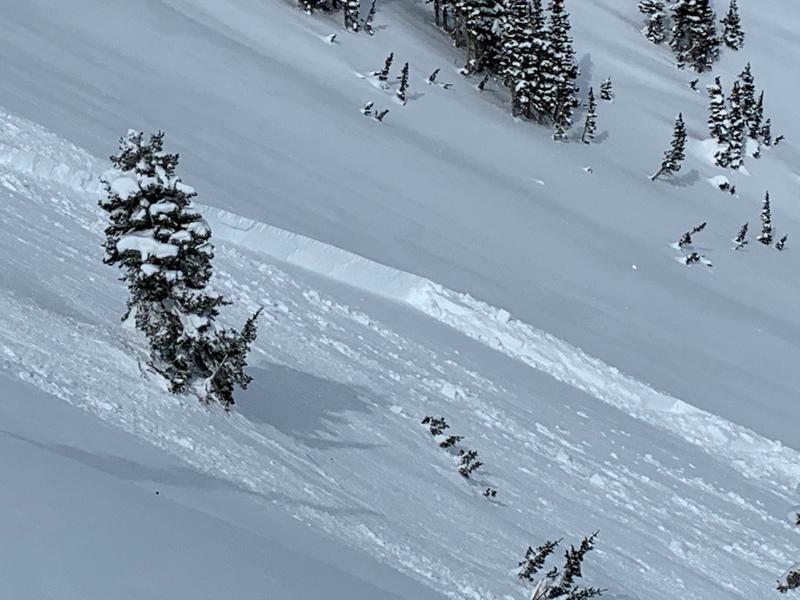 Interestingly on low angle east facing slopes there was no reaction either but on this east facing chute it pulled out with just the weight of one skier. 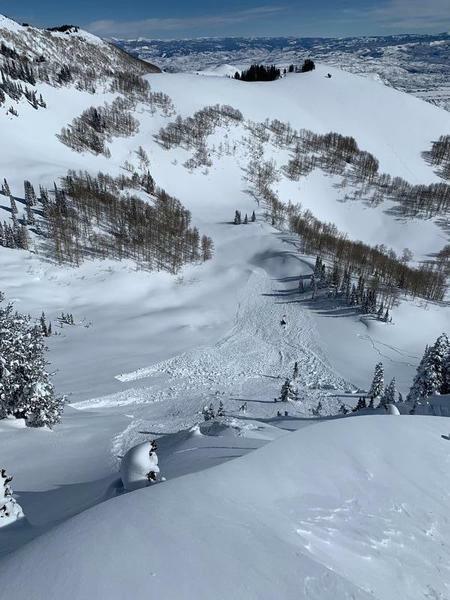 Don't go on any east facing slopes around 10000 feet. I don't care what angle it is. The UAC does a great job i should have paid closer attention to their report.